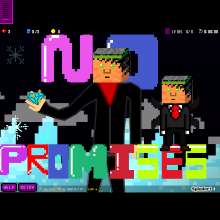 This is my 2nd album no promises. My last album DIAOMO went gold this one probably wont be as big but ima bring new music and new rappers. Ima still have my Bros in it @Djcruize @Ace1998 @Jalenn @Tyshawn @Freshprince @Okbeats in this. Vote up my music thanks every1. And all my music is under PF rapper Production.